Acharyar Nathamunigal codified the treasure of the most divine ‘Nalayira Divya Prabandham’. He also revived the Adhyayana Utsavam instituted by Thirumangai Azhwar. From the day of Vaikunda Ekadasi, Raapathu utsavam starts. Each day in the night – Thiruvoimozhi is recited. In Divyadesams like Thiruvallikkeni, in the evening purappadu – Upadesa Rathnamalai rendered by Sri Manavala Mamunigal is recited by the Divyaprabandha goshti on mada veethis. Each day (night) there is the grand purappadu (procession) of Sri Parthasarathi and Swami Nammalwar. 31st Dec 2009 was the fourth day in Raapathu and was special. and what comes to mind is his unparalleled devotion for Lord Ram and unrivalled physical strength. Perhaps this is one reason why Hanuman is quite often associated with celibates, wrestlers and bodybuilders. 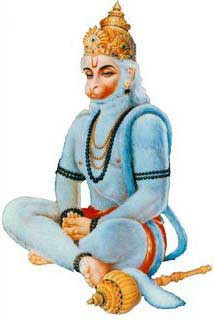 Hanuman is also noted for his spirit of self service, which was rewarded by Lord Ram by stating that ‘whenever I am remembered, people will remember you too.’ Hanuman Jayanthi is observed during various time of year in different places. Some observe it in Chaitra month. In Thiruvallikkeni temple, it was celebrated yesterday. In this sthalam, right in front of the Sri Ramar Sannathi, Sri Aanjaneya resides. Once in a year, there will be purappadu for this Utsavamurthy and yesterday Sri Parthar, Hanumar and Nammalwar had purappadu. There is another Anjaneyar temple at East tank Square street too…. It is widely believed that Lord Hanuman is present wherever the story of Lord Ram is recited. Let us prostate at the feet of Jai Hanuman ~ here are some photos of the purappadu.